Radios have been around for a long time. Security has not played a very long role within this realm. Consequently, precautions such as CRC, encryption, etc. are not always considered during the transmission of a radio signal. The below tutorial will highlight a replay of a modulated ASK/OOK signal that is non-return-to-zero (NRZ) encoded. The 433.925MHz band is commonly used across many devices found all over our surroundings. From wireless doorbells to garage door openers, this band is fairly active in our daily lives. The demonstration of replay we will be covering will be wireless RC switches that are common in European households. 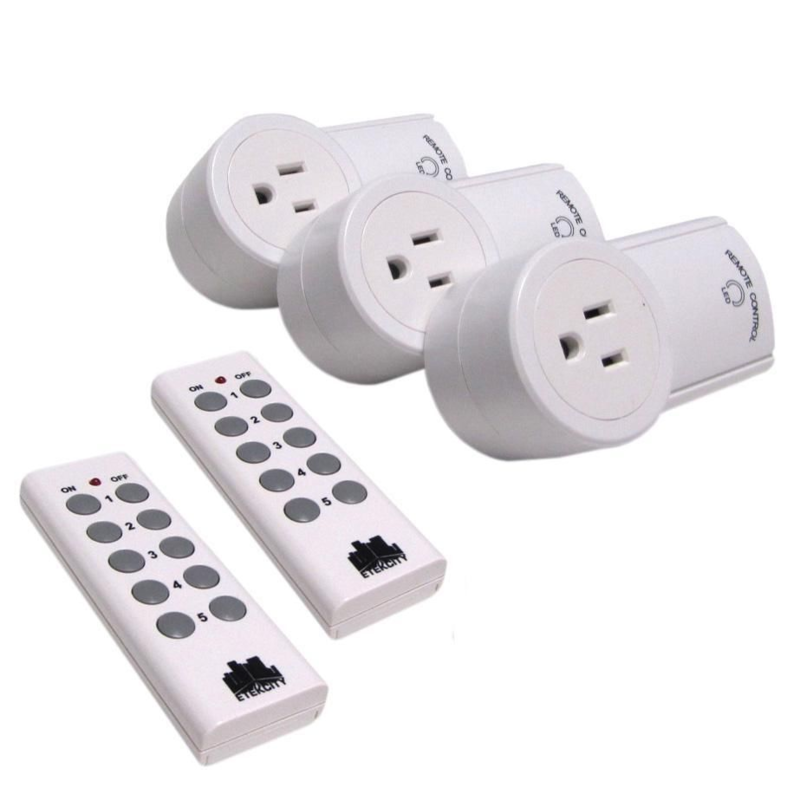 These devices can be controlled wirelessly to turn on and off any electrical device connected. Naturally, this is an interesting device to investigate. 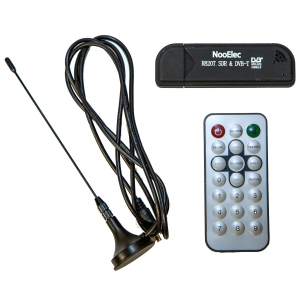 Below is a picture of the device mentioned. So that we have a more controlled environment and since this is in the US, we will be using an Arduino Uno, an RF link set, and an Arduino ported RC Switch library. This will serve as our example remote controlled RC switch since they are not as common here as they are overseas. Let’s get started. 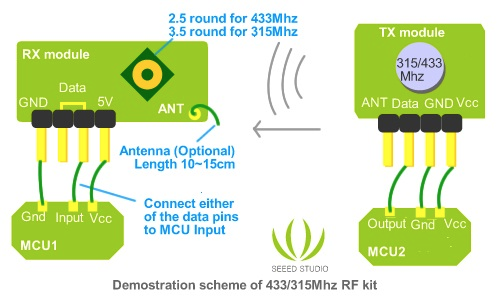 First, we need to connect and configure our Arduino with the RF Link set and program our microcontroller as a transmitter with the rc-switch library. In the below image is my setup as an example. For my RF 433MHz transmitter (as both the transmitter and receiver tend to vary in pin count and voltage), I have 3 pins on my transmitter: GND, VCC, and DATA. On the breadboard, connect the transmitter directly and connect the appropriate pins — GND to the GND pin on the Arduino, VCC to 5v pin, and DATA to whatever digital pin you choose. With the Arduino physically configured correctly, fire it up and commit the following code (modifying to your pin setup where necessary). Now that the Arduino is setup, we need to find the signal by using RTL-SDR and SDR-Sharp on our Windows box (you can use gqrx or HDSDR if you are so inclined). 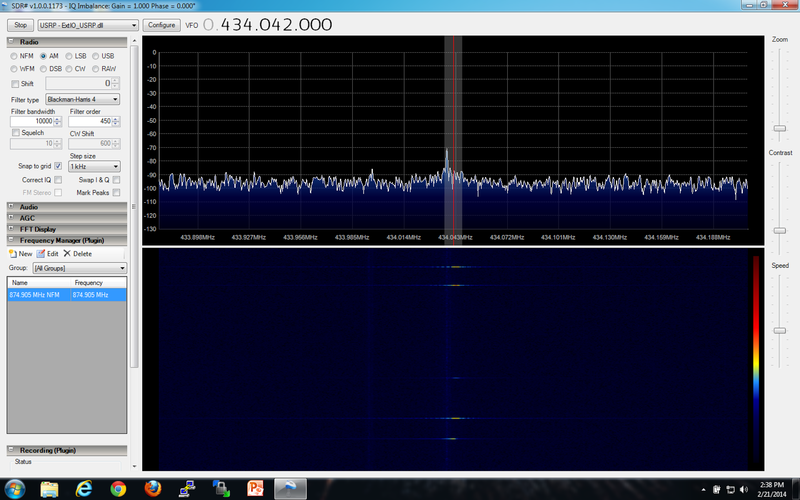 Note that the signal generated from the RF link set is not the best. The frequency that it resides on varies at times. However, it should be right around 433 ~ 434MHz. Since this is an AM modulation, select “AM” when listening for the signal. Most of the time, this will work, be accurate enough, and serve as one of our variables in our recipe for RFCat. We first set the modulation to ASK/OOK, set our target frequency to 434042000Hz (433.925MHz), essentially define how long our message is, set the baud rate to 2840bps, ensure that the transmission is set to full power, and to disable any preamble or syncwords, set Sync Mode to 0. With the assumption that you have a somewhat solid understanding of RFCat (from previous articles) as well as python, the below script will help us execute the above with the necessary padding and PWM adjustment such that we receive a matching transmission. print " [-] MDMModulation: MOD_ASK_OOK"
x = "1000" #<mossmann> and a one is encoded as a shorter high pulse (high-low-low). print "[+] Binary (PWM) key:\n\t",long_bin_key,"\n"
print "[+] Binary Padded (PWM) key:\n\t",long_bin_key,"\n"
print "[%] Transmitting key: ",repeatNum," times\n"
startStringBin = "000000000000000" + "1000100010001000111001000"
This message is then sent ~30 times given that our receiver is a bit finicky, and that it is a requirement for the signal to be sent 10 times to be considered a complete message (as per the rc-switch source code). However, to check and make sure that the signal was originally sent correctly, modify repeatNum to equal ‘1’, re-record the signal in SDR-Sharp, and line-up the result against the originally recorded Arduino frequency. It should look virtually the same. 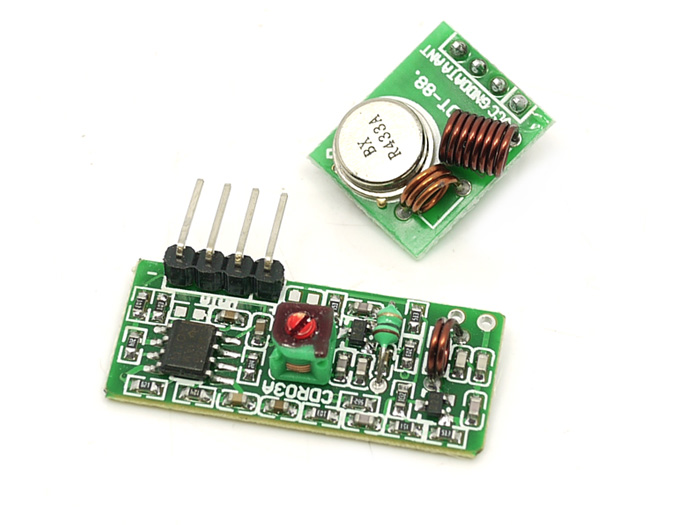 Thereafter, configure the receiver component you have and wire it identically as you already have on the Arduino, except rearrange the order of the wires. With my receiving component my pin order from right to left is: GND, DATA, DATA, VCC. In my setup, I only use the first data pin. The below diagram may be of use. Assuming that your signal matches up, go ahead and run the script with a higher repetition than 1 iteration, such as 30+. With any luck, your signal should have been successfully replayed! Very nice job. You can get a better wave form by using the latest version of sdr# (1179+) and unchecking “Filter Audio”. This will bypass the high pass filter that skews the slow impulses as in your screenshot. Just a quick question for you. How did you determine it was 22 samples? Was there an indication from Audacity or did you calculate it another way?